About Translation: Isn't "free-lance position" an oxymoron? We frequently receive messages from translators offering their services to our company. The messages that arrive range from well written and effective (in that they at least encourage me to give a look at the attached résumé), to irritating and off-putting (I gave examples of both kinds in this earlier post). I find puzzling the many messages that say "I'm interested in applying for a free-lance position". I may be wrong, but I think that "applying for a position" means applying for a job on staff, i.e., a salaried position, not to offer one's services as a contractor. A piece of advice to all aspiring translators: sending unrequested applications is difficult enough: don't stack the deck further against you with badly written messages! Just a comment: maybe "position" is not the best word, but there certainly are two kinds of freelancers: those who have been "approved" by the company (they may have signed a terms&conditions agreement and other documents) and are eligible by PMs to receive projects, and those who are not. 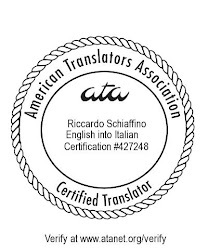 Metaphorically speaking, the "approved" translators are holding some kind of "position" in the company, as they get work regularly and are therefore paid (hopefully also regularly) for their services. I'm a full-time EN>SP translator from Mexico, with extensive experience in legal translation (I mostly translate end-user agreements and contracts). Since I noticed this is one of the fields your company specializes in, I'd like to be considered for English to Spanish freelancing assignments. Please find attached my résumé. English to Spanish legal translator." They are mentioning a word "Freelance" So obviously the profile is not to work in the firm and to work for the firm from their home! Hope it clears. We also receive many mails like this to our resource department!